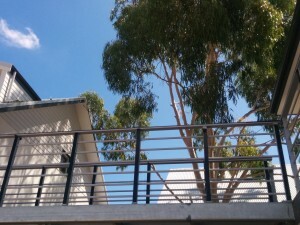 Home »Blog»Are developers to blame for loss of tree cover in urban areas? The benefits of trees in urban areas are widely recognised. Increasingly, local Councils are aware of and measuring (the loss of) tree cover and are looking at strategies to maintain and improve it. Often the finger is pointed at the developer for removing trees and policy measures are aimed at getting developers to do the right thing. But are developers always to blame? The City of Stirling is one local council that recently attempted to prevent developers from chopping down trees. The City realised that they would lose 45 per cent of all trees on private development sites within the next 15 years unless they do something about it. The City of Belmont conducted an assessment of the City’s canopy and concluded it lost 16 hectares of canopy between 2001 and 2012. Even the leafy Western suburbs are losing tree cover. 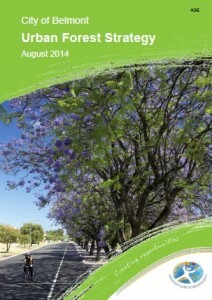 The City of Nedlands lost 12 hectares of tree cover in just two years. Neighbouring Peppermint Grove and Claremont also lost some three percent of their canopy over the same period. Associate Professor Paul Barber from Murdoch University said that “one of the major reasons for loss of canopy cover appears to be the removal of mature trees for urban development” (WA today, 2016). The City of Belmont also acknowledges that “to accommodate a growing population, trees on private property and verges are often cleared for development and consequently, canopy cover is lost.” (Urban Forest Strategy, 2014). You only need to look around to see and become aware of many examples of development blocks that are or have been cleared by developers before new construction commences. It is obviously the developers that are to blame, right? There are several local councils that have acknowledged that loss of tree cover is an issue and that something needs to be done about it. The City of Stirling was the most recent one making the news with their attempt at adopting a tree protection policy. 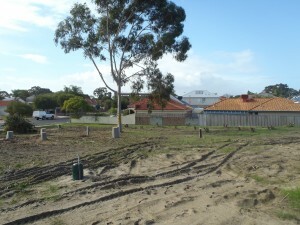 While a comprehensive protection policy mandating retention through a significant tree register seemed the preferred option, time and money required to implement this made councillors choose for an off-set tree loss policy where developers are required to provide a replacement every 500 square meters on site for each. Other strategies include values based pricing which means that developers need to pay considerably more for removal of street trees, and design guidelines which for example stipulate a certain percentage of deep rooted vegetation for new developments. The above strategies definitely send a clear signal to developers that tree cover is valued. But do I expect these policy measures to really address the issue? No I don’t. Are we addressing the cause? 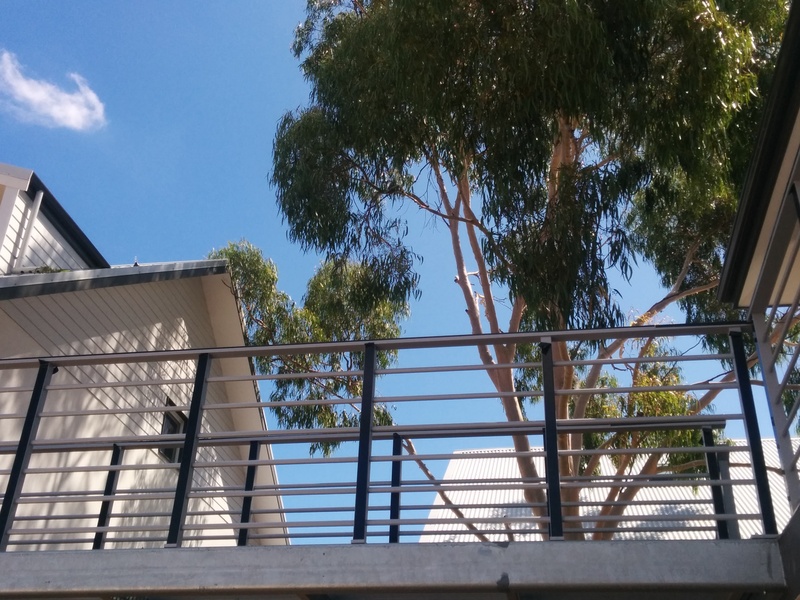 We recently completed a development project called The Siding located in Lathlain, Town of Victoria Park. Sustainability is our key focus. 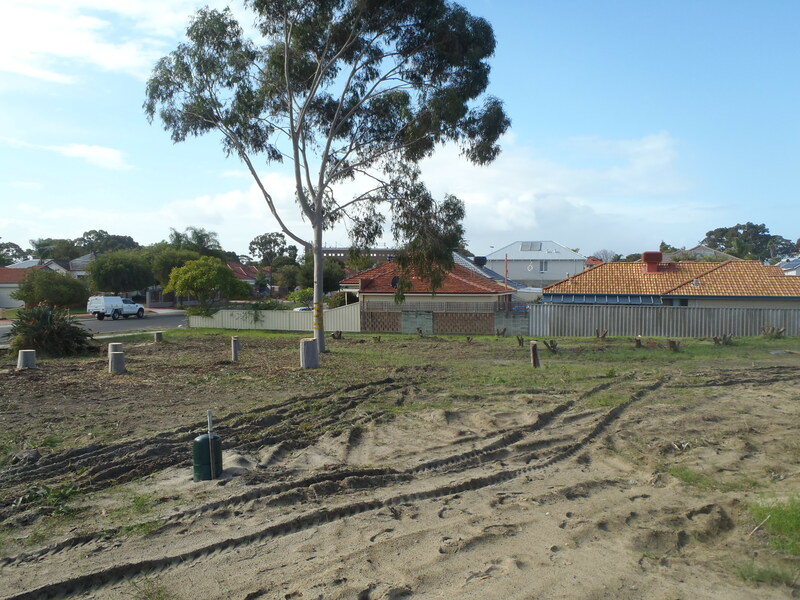 Nevertheless, most of the trees and bottle brushes on the block were cleared before construction commenced. The land used to be a small reserve owned by the local council, they rezoned it to residential. Any developer would have cleared the block completely; we were able to keep one of the iconic gum trees and the street trees (except two). The local council also recognises the importance of trees and one of their measures is value based pricing which makes it very expensive for developers to remove street trees. I argue though that to protect their assets, to protect existing tree cover, the council should not have rezoned this local reserve in the first place. This experience has given me a different perspective on the loss of tree cover. In my view the cause of the problem is that under the current planning framework we allow urban development to happen in such a way that we almost certainly will lose more tree cover. We allow battle axe developments even though we know this means the trees in the backyard will go, forever; we allow medium density infill development of a kind where blocks are completely cleared and there is no room for replacement trees. We allow green field and larger infill sites where all vegetation is removed and where room for replacement trees is less. And the reason this is happening is that the zoning of this land was changed making re-development, and thus tree removal, a possibility for private developers. Zoning is a very powerful planning tool. I believe that (re-)zoning is at the core of the problem. Local councils should carefully consider and review the zoning of land in light of impact on tree cover.